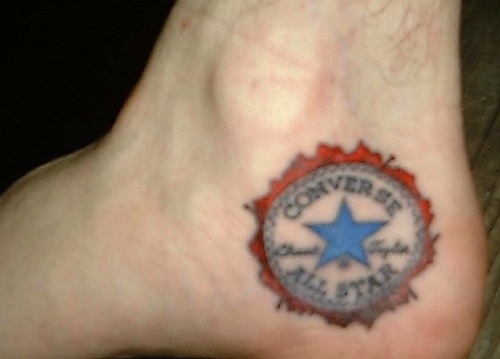 Home Culture 10 Gone Viral Pictures Of Feet With Shoe Tattoos! 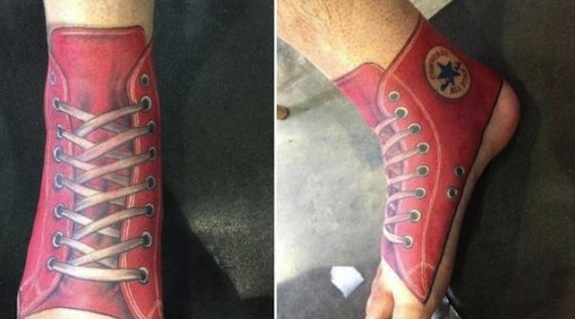 The popularity of hand and foot tattoos are on the rise. Perhaps due to celebrities getting them and showing them off or possibly just because of the way they look, more and more people are looking into getting tattoos on their hands or feet. First of all; does it hurt? 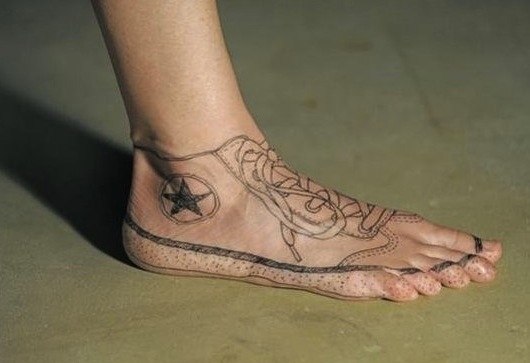 In regards to foot tattoos, the answer is yes. In reality the answer is yes to all tattoos but the foot is more intense. Generally, a tattoo tends to hurt more on areas where there is less padding provided by muscle, bringing the bones and tendons closer to the surface. This causes the vibrations of the tattoo machine to resonate though those parts making the sensations more intense. Next is the commitment to healing that you will need to make. The skin regenerates faster on your feet causing potential issues with ink rejecting during the healing process as well as premature spreading in the lines. It is best to heal your foot by keeping it uncovered. Shoes that do not touch the top of your foot such as sandals, flip-flops and ballet flats are the best. Unfortunately, this is not an option for everybody. There is always the chance of infection when you make an opening in your skin such as a cut, scrape or puncture. A tattoo is essentially a scrape. It may not look like an open wound, but it is and should be treated as such. Foot tattoos may have a greater chance of infection due to the proximity with the ground and diligent care should be taken to protect your tattoo from becoming excessively dirty and to wash it multiple times a day to keep it clean. Do not soak it though, so the pedicures will have to be on hold until your tattoo is healed. Go get it done the day before you tattoo appointment. Swelling is also an issue. 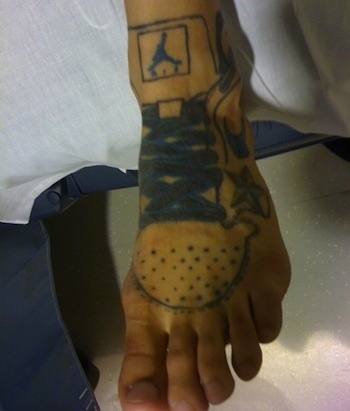 Many people are surprised by the amount a tattoo can swell, especially in an area like a foot. Elevation for the first few days can help along with use of anti-inflammatory OTCs such as ibuprofen. Just follow the instructions on that packaging. There is also an issue with the ink spreading in the tattoo during and after healing. All tattoos spread with time. 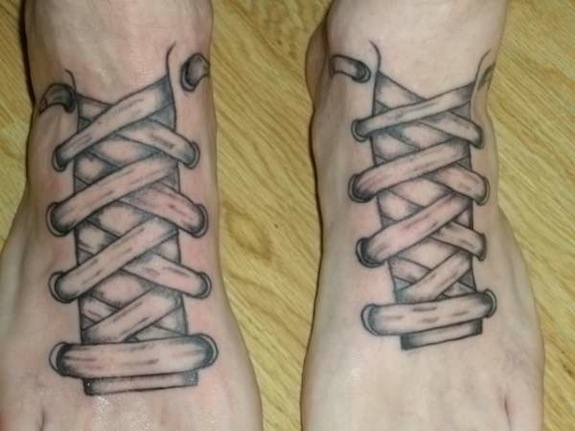 Many people are surprised by the amount a tattoo can swell, especially in an area like a foot. Elevation for the first few days can help along with use of anti-inflammatory OTCs such as ibuprofen. Just follow the instructions on that packaging. 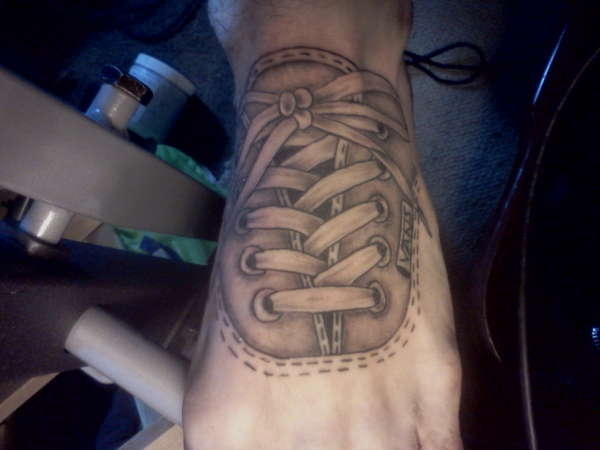 Foot tattoos can spread faster than other areas. 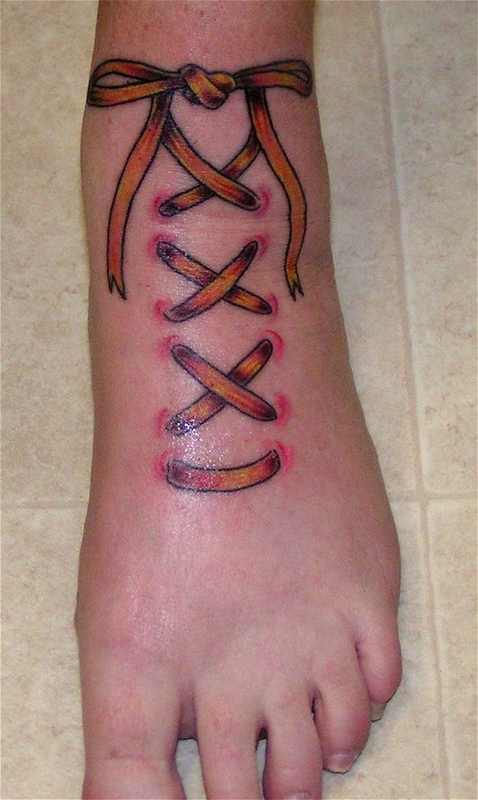 Generally, it is best to keep the tattoo to the top of the foot as this holds the ink best. The closer you get to the sole of your foot, the more the lines will spread. 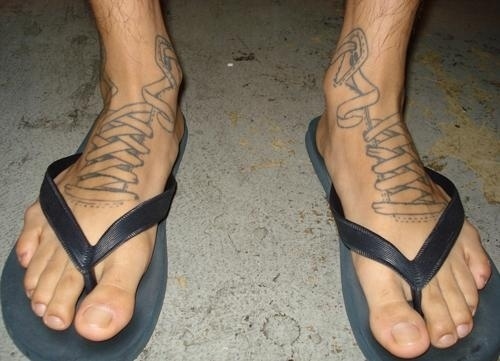 Tattoos on the toes can also have ink loss from the flexing of the skin. 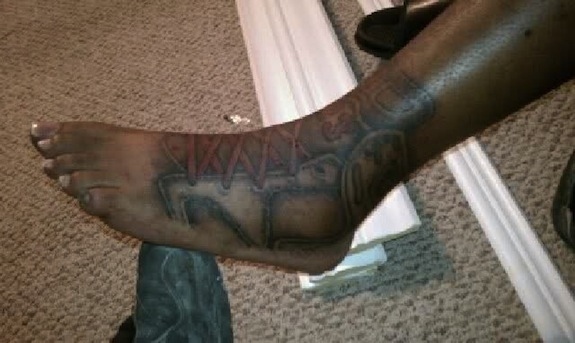 Don’t be surprised if you need to get your foot tattoo touched up after it heals. It is normal with the chances increasing the farther down the sides you go. Previous articleYou Too Can Make $55,000 A Year! By Selling Candy On The Subway?